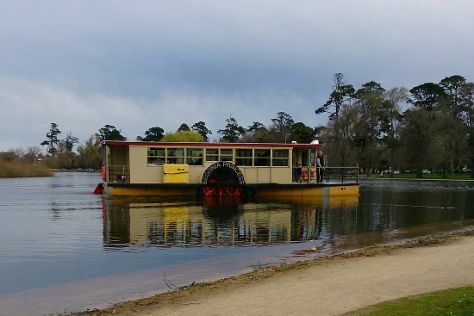 Eschew the tourist crowds and head to Lake Wendouree and Art Gallery of Ballarat. Change things up with these side-trips from Melbourne: Ballarat Wildlife Park (in Ballarat), Anglican Church, Barwon Heads (in Barwon Heads) and Eastern Beach Reserve (in Geelong). The adventure continues: admire the natural beauty at Royal Botanic Gardens, cruise along The Great Ocean Road, indulge in some culinary diversions at a local gastronomic tour, and admire the masterpieces at National Gallery of Victoria. If you are flying in from United Kingdom, the closest major airport is Melbourne International Airport. In September in Melbourne, expect temperatures between 20°C during the day and 7°C at night. Wrap up your sightseeing on the 4th (Fri) early enough to travel back home.